Today’s freebie, a transparent Growl notification style, is a fantastic contribution from Swedish designer Victor Erixon. A refreshingly different style to others available methinks. Wow, really different from all of the other Growl themes out there. Great work. Much nicer design and overall feel to other growl themes available. Seriously beautiful work on this one, Victor… and thanks again Orman for making these amazing freebies readily available to us! What’s version of Growl is compatible with the theme? Looks great! You’ll have to ping Victor for specifics on the coding side of the style. Thank you very much for your sharing !!! Thanks, I’m sure Victor will be grateful for the feedback. Thanks Orman and Victor! 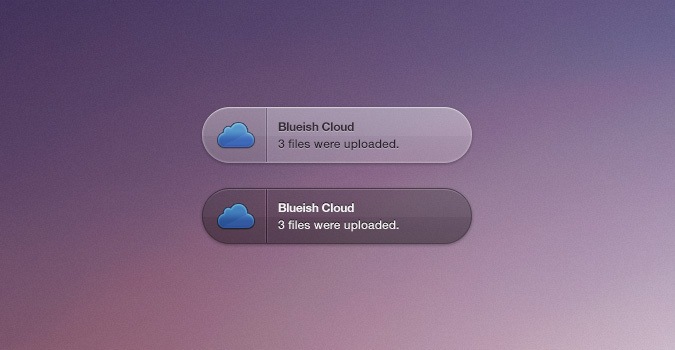 This looks great so I decided to make a CSS3 version of it + a quick tutorial.